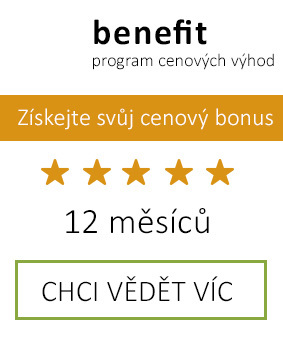 Dědek kořenář Hop Mixture VK supports normal functioning metabolism, digestion and liver. 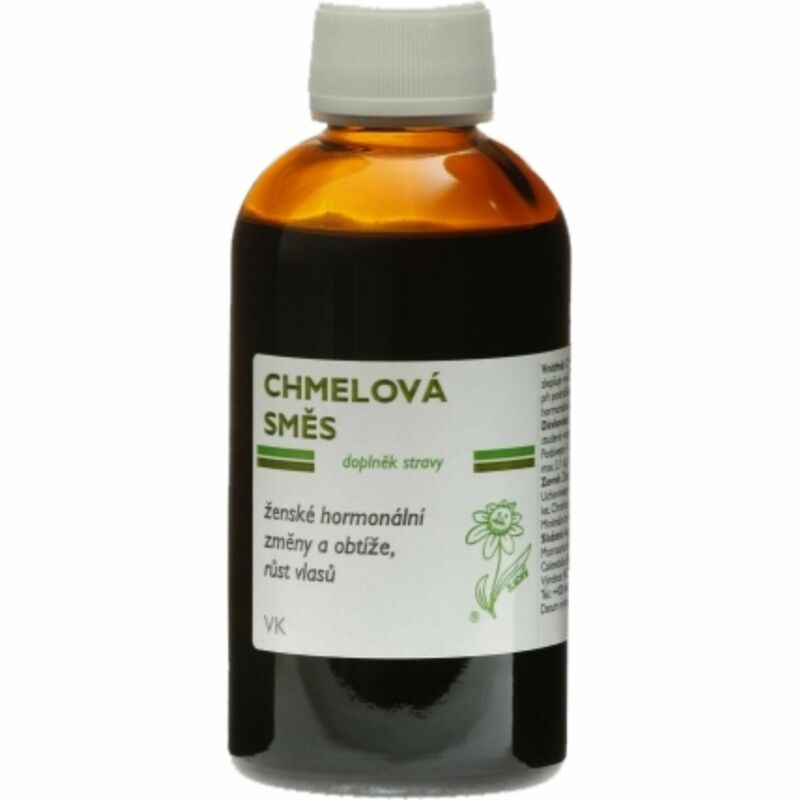 It is a herbal liquid tea concentrate, which has a beneficial effect on the female hormonal changes and difficulties and externally promotes hair growth. 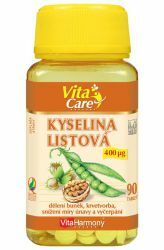 Hop mixture supports normal functioning metabolism, digestion and liver. It is a herbal liquid tea concentrate, which has a beneficial effect on the female hormonal changes and difficulties and externally promotes hair growth. 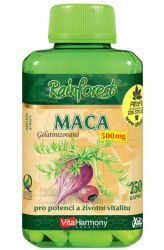 At the same time it has a calming effect, a positive effect on good sleep and maintain normal blood cholesterol levels. Hormonal balance, women's health and comfort to menopausal acts sage and also beneficial perspiration, as well as linden blossoms. 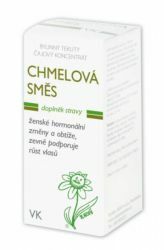 Then there is contained an extract of nettle, which has a beneficial effect on the normal condition of the bones, hair and nails, and horsetail, which has a beneficial effect on liver function and normal function of the skin. 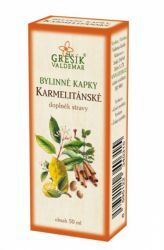 The mix also contains herbal extract of burdock, birch, lady's mantle, yarrow, fennel, arnica and red clover. Hops is a genus of plants in the family cannabaceae. Its fruit is as cones. 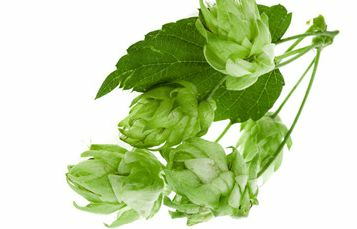 Hops is suitable especially for women because of its ability to absorb a variety of female disorders. Hop cones in themselves because they contain plant hormones phytoestrogens which are compositionally similar to one of the main female hormone estrogen. Another almost miraculous effect cones hop is their ability to act preventively against certain types of cancer, especially breast cancer. When the cancer, then you can use hops as a supportive therapy. 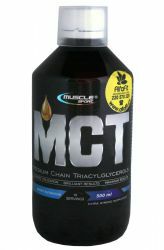 Recommended dosage: It is used 2-3 times daily ½-2 teaspoons into 1-2 ounces of water whenever it is convenient. VitaHarmony Folic acid is vitamin B group. 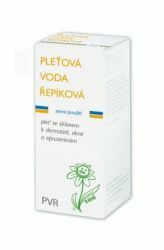 It is needed for the formation of red blood cells, is used to treat and prevent anemia.